I don’t frequent the area of MOA or any place beyond Makati as it’s a bit far for me. 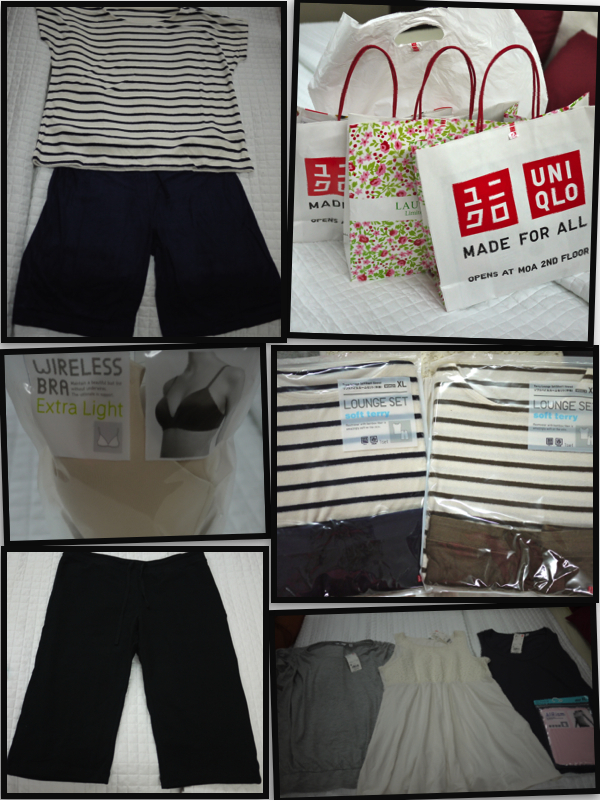 But my friend Fides and I decided to check out Uniqlo one Friday afternoon when our kids had no school. The “no school” gave us a chance to consider traveling all the way to Pasay. I just wanted to look for the lounge set I was able to buy in Hong Kong a couple of years back which I so totally LOVE! I regretted I only bought one! So here I am wishing they still had it or something like it. We left after lunch around 1pm, and arrived Mall of Asia (MOA) in 15 minutes. Thank God there wasn’t any traffic. We literally just went there to go inside Uniqlo, shop around a bit, and leave. We didn’t even get a snack coz we wanted to get out of the area before rush hour traffic. We decided to go to Serendra to eat instead so that it was already half way home. So here’s what I was able to buy. I found the lounge set! A bit different but they felt very comfortable (P1,300+/-). 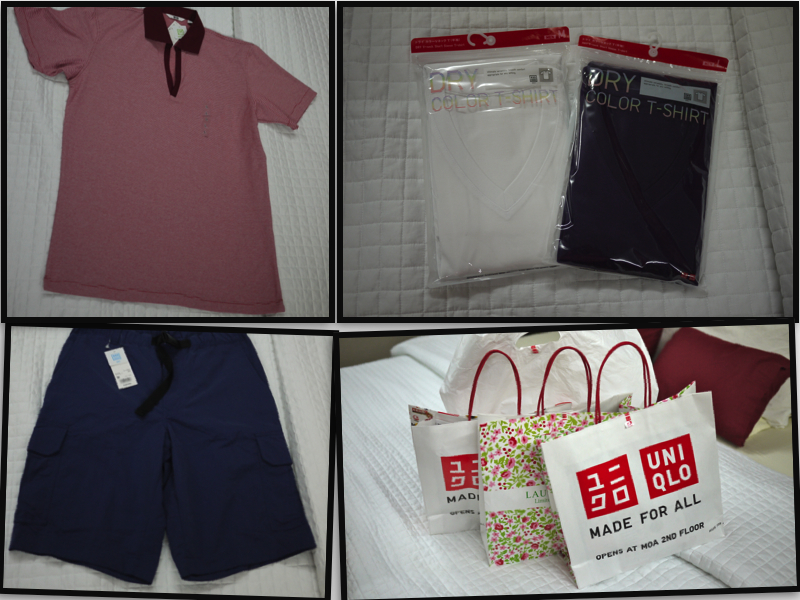 Got a few tops (P799-I refused to get anything more expensive..hehe) and a few other inner garments. Then got some stuff from the men’s department. Shorts at P995, Collared Shirt P995, and plain shirts at P499. Alternative to a birthday cake: Tower of Donuts!